One of the world’s top pound-for-pound boxing stars Guillermo Rigondeaux (16-0, 10 KOs) will fight in Britain for the first time on Saturday 16th July at the Cardiff Ice Arena when he defends his WBA Super-Bantamweight World Championship against Merseyside hero and number 13 rated WBA super-bantamweight Jazza Dickens (22-1, 7 KOs), live and exclusive on BoxNation. 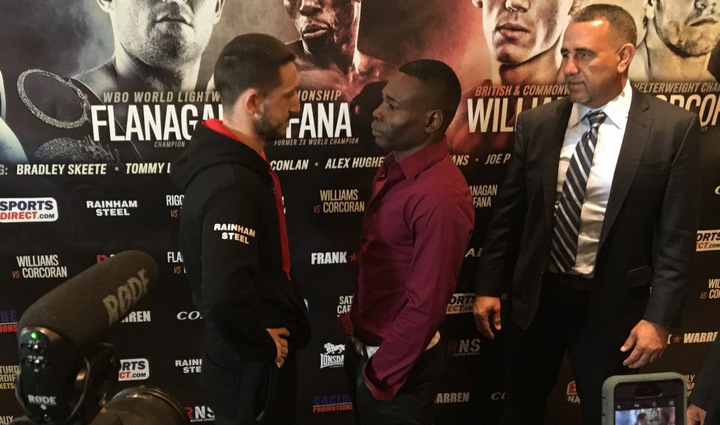 Undefeated Rigondeaux, who fights out of Miami, Florida, is regarded as the world’s best super-bantamweight and the dangerous 35 year-old is the man Carl Frampton has chosen to avoid for so long. “El Chacal”, a two-time Olympic Champion, unified the WBA title with the WBO belt when he outpointed Nonito Donaire in April 2013. Rigondeaux, who’s fought in America, Mexico, Ireland, China and Japan is looking forward to showcasing his skills on the these shores for the first time and promises to give fans a real eye-catching display. Dickens, 22-1-0 7 KO’s, holds the British Super-Bantamweight title and is currently on a red-hot six-fight winning streak since suffering his first career loss to Kid Galahad back in 2013. Everton Red Triangle man Dickens has an opportunity to write himself into the history books by becoming the first Liverpool fighter to hold a WBA world title. “People have already told me that I have no chance of beating him but when I look in another man’s eyes I can see he’s just the same as me. I’m a man and he’s a man; we both feel courage and we both feel fear. On the night we’ll be stepping in the ring as equals and I believe I have what it takes to beat him; I wouldn’t have taken the fight if I didn’t,” said Dickens. “I’ve always said things happen for a reason and this proves it. It was disappointing the fight didn’t go ahead last time but this time it’s for a world title; I’m extremely grateful for the opportunity. Fights like this don’t come around every day so I’ve grabbed it with both hands.